It’s no secret that the Gallery of Modern Art is one of my favourite places in Brisbane. If you’re in need of a dose of inspiration, entertainment, or bemusement (because hey, modern art) GOMA is currently running some excellent free exhibitions in celebration of their 10th birthday. These include Sugar Spin: You, Me, Art and Everything and A World View: The Tim Fairfax Gift. As well as newly commissioned artworks, if you’ve been a regular visitor over the past decade, you might recognise some artworks from previous exhibitions. These are just a few of my favourites from a recent visit to the gallery. ‘Nervescape V’ 2016 / Hrafnhildur Arnardóttir a.k.a. Shoplifter (Iceland/USA). This bold installation is probably the major drawcard for the gallery right now. Made of synthetic hair, this multicoloured landscape cascades down the gallery’s cavernous walls. Best of all? You can totally touch it. If you look closely you can also see Left/Right Slide by Carsten Höller in the photo above which are, yes, slides you can ride down. Cheers to interactive art. ‘HEARD’ 2012 / Nick Cave (USA). These wearable sculptures are so fun to look at. While they’re mostly stationary, they do function in a performative manner. Unfortunately I wasn’t able to witness a performance but there’s a video in the gallery that shows them in action. ‘from hear to ear (v. 13)’ 2010 / Céleste Boursier-Mougenot (France). This musical installation featuring live finches is such a unique experience. Around 20 people are allowed into the space at a time to observe the birds. During peak times you might have to queue for a while to gain entry. I went on a particularly busy weekend and waited about 20 minutes. A collection of works including ‘I Never Stopped Loving You’ 2010 by Tracey Emin (the neon sign that you can’t read up there, but I’ve taken a photo of it previously here) and the hyper-real ‘Bad Dad’ 2013 painting by Michael Zavros. ‘In Bed’ 2005 / Ron Mueck (England). ‘PixCell-Double Deer #4’ 2010 / Kohei Nawa (Japan). 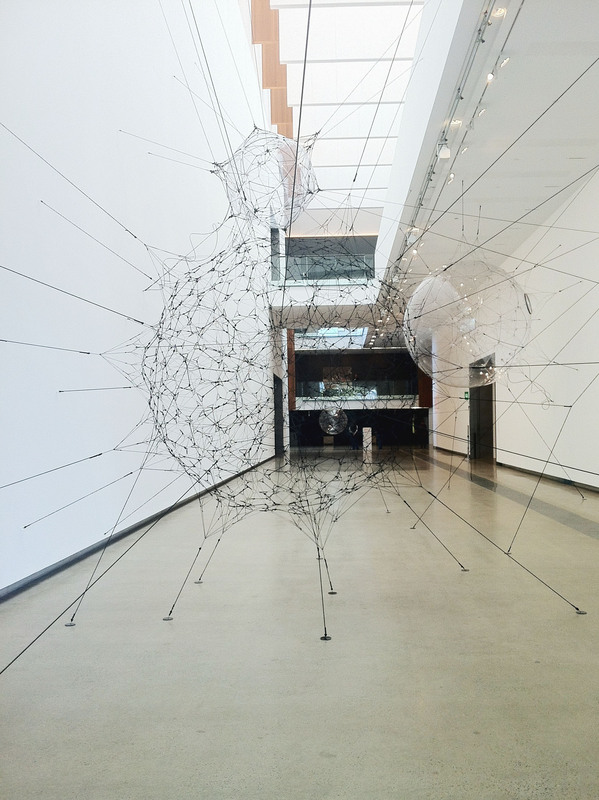 ‘Biosphere 02, Biosphere & Biosphere cluster 05’ 2009 / Tomás Saraceno (Argentina). ‘Rainbow Bridge’ from ‘We Miss You Magic Land!’ 2011 / Pip & Pop (Australia). I’m a sucker for all things Pip & Pop and couldn’t resist squeezing them into this post. These little dioramas have been featured in different parts of the gallery over time however nothing will ever beat the full room installation for ‘We Miss You Magic Land!‘ a few years back. 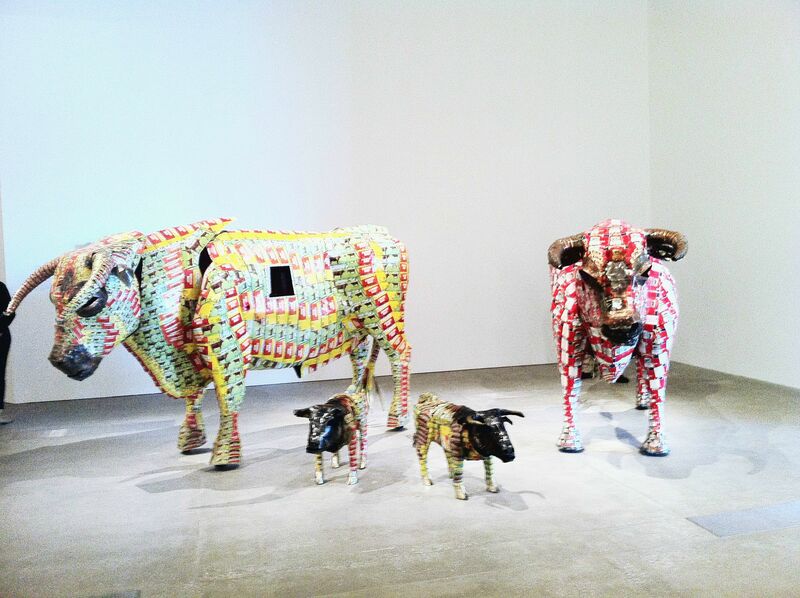 The 8th Asia Pacific Triennial of Contemporary Art (APT8) has recently opened at the Queensland Art Gallery | Gallery of Modern Art and earlier this week I popped by to check it out. The APT exhibitions are the Gallery’s flagship contemporary art series and they’re the only exhibition series to in the world to focus on the contemporary art of Asia, Australia and the Pacific. I grew up going to see the APT exhibitions and they’re always a memorable experience. The current exhibition features many larger than life works and interactive and sensory experiences. My favourite had to be the installation by Ramin Haerizadeh, Rokni Haerizadeh and Hesam Rahmanian which was a recreation of their Dubai home-studio (spoiler: it’s bonkers). I visited the exhibition with my mum and I’m pretty sure her favourite was the structure by Asim Waqif which looked like a bunch of pylons but is embedded with lights and sensors to be triggered by the viewer (seriously I don’t think I’ve ever seen my mum so amused by something). APT8 runs until April next year and entry is free. Top tip: wear footwear that you can easily remove as there are a few installations that require you to remove your shoes in order to participate (I was wearing buckled sandals and couldn’t be bothered constantly taking them off and putting them back on). I went to the Gallery of Modern Art on the weekend to check out a few of their latest exhibits (you can see my last trip to the Future Beauty exhibit here). The big drawcard right now is the David Lynch: Between Two Worlds retrospective but there’s also the recently opened Michael Parekowhai: The Promised Land exhibit, the Japanese Art After 1989 exhibit, and the gallery’s collection of Indigenous art on display as well. While the David Lynch retrospective is on the unsettling/moody/messed up side of things, the Michael Parekowhai and Japanese art exhibits are a good remedy to that. I’ve already shared some photos over on Instagram but here are a few more that I snapped on my iPhone. 5. I forget what this series was called. Oops. 9. Soul Under the Moon, 2002 by Yayoi Kusama. I’ve visited this installation pretty much every time it’s been on display at the gallery. The first time I was still in high school. I still love it. 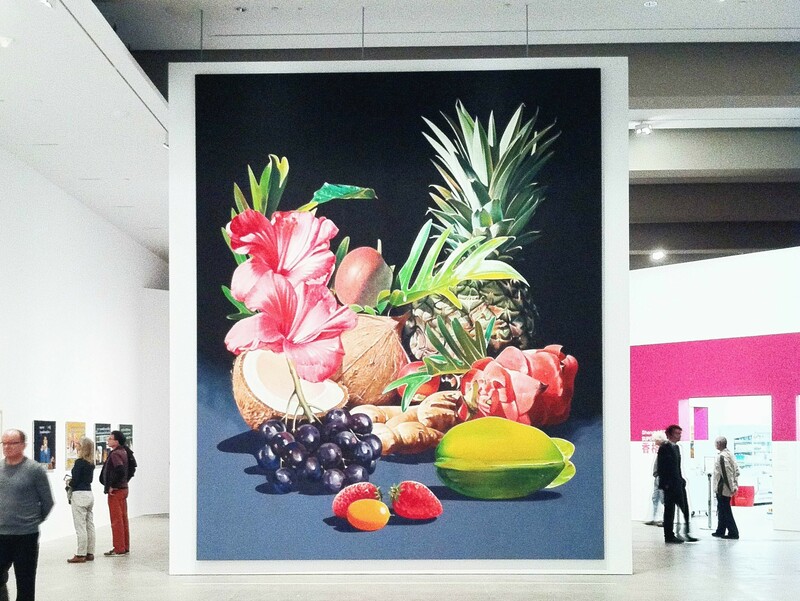 At the end of last year I went to the Future Beauty exhibition at the Gallery of Modern Art in Brisbane. I’m only getting around to posting about it now because… laziness? The exhibition explores the innovation of Japanese designers from the 1980s onwards. A host of designers are covered in the exhibition but some of the most notable names include Rei Kawakubo, Yohji Yamamoto, and Junya Watanabe. Being able to observe garments up close, as well as seeing some laid out flat, gives you a greater understanding of how intricate the pieces really are and the kind of mastery required to be able to manipulate seemingly simple pieces of fabric. Technically you’re not supposed to take photos inside the exhibition but I took a few sneaky snaps because I am a delinquent. Complementing the exhibition throughout the gallery are works by Japanese artists like Yayoi Kusama and the return of the Obliteration Room. I also couldn’t resist revisiting the Pip & Pop dioramas in the Children’s Art Centre because they are my favourite. Future Beauty ends on February 15 so if you haven’t seen it already I’d suggest you get a move on. 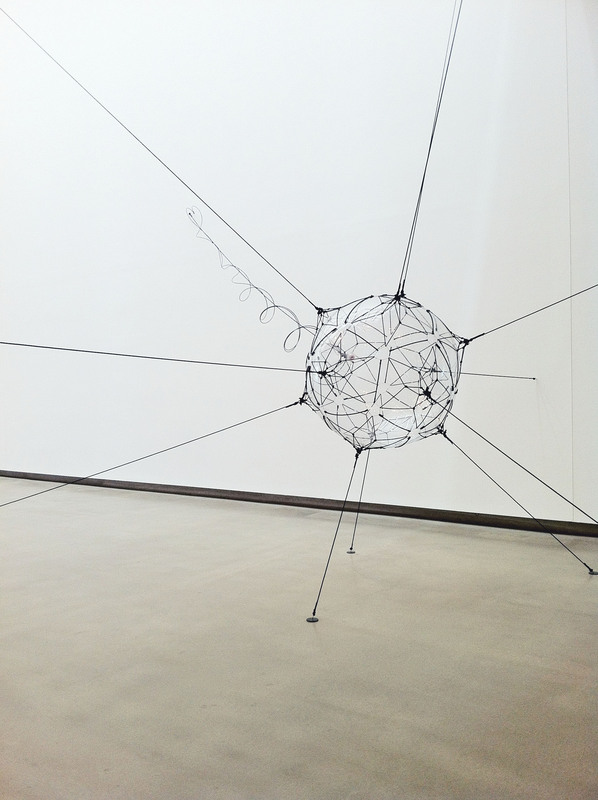 Last weekend I trekked it over to my happy place aka the Gallery of Modern Art. Their latest showcase exhibition ‘Harvest’ is a celebration of food in art. An art exhibition focusing on food? It’s like these guys can see into my mind (and stomach). The collection features pieces from GoMA’s extensive collection as well as major new acquisitions. 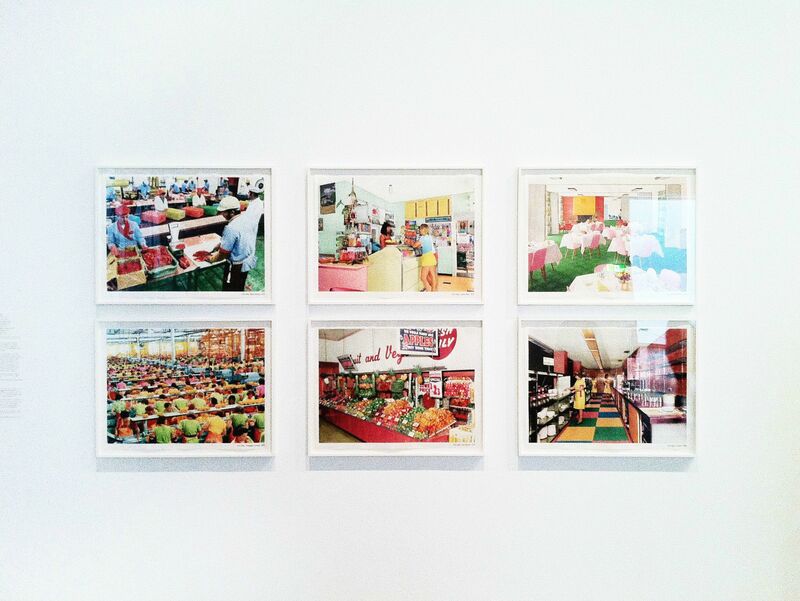 I did recognise a few pieces from past exhibitions like Xu Zhen’s ShanghART Supermarket installation which, by coincidence, is another manifestation of one of my happy places – Asian supermarkets. My favourite pieces included Shirana Shahbazi’s Still life: Coconut and other things and the absolutely bonkers Pineapple Express! 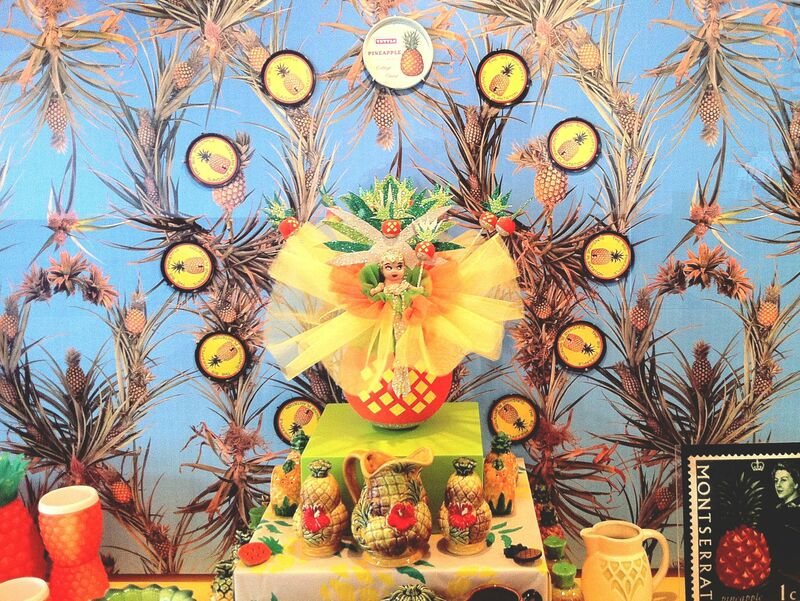 display by Fallen Fruit that featured an assortment of pineapple-y items from local contributors. The exhibition is free and runs until September 21. Images taken on an iPhone 4 (waiting… waiting… waiting… for the iPhone 6) and edited in Photoshop.